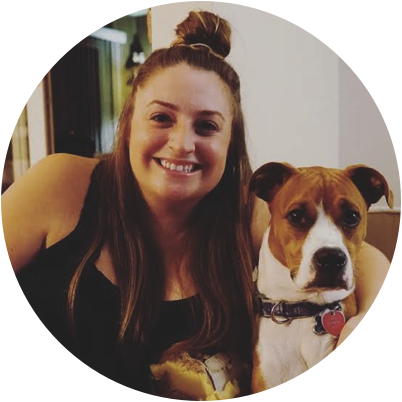 Read Lauren's review of Robin Hood. A war-hardened Crusader and his Moorish commander mount an audacious revolt against the corrupt English crown in a thrilling action-adventure packed with gritty battlefield exploits, mind-blowing fight choreography, and a timeless romance. Robin Hood is in theaters on November 21st, 2018. Catch all the action in the latest version of the classic Robin Hood tale! 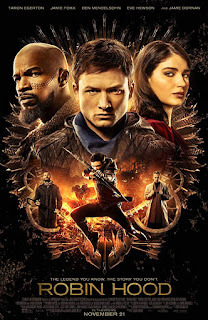 Taron Egerton and Jamie Foxx lead this action-packed adventure in old England. Egerton plays Robin, Lord of Loxley, a man sent off to war who comes back to a very different life than he had hoped for. Coming home a war-hardened Crusader, Robin learns that the greedy, power hungry Sheriff of Nottingham declared him dead 2 years prior, setting off a chain of events that include his house being seized and the love of his life Marian to start a new life. 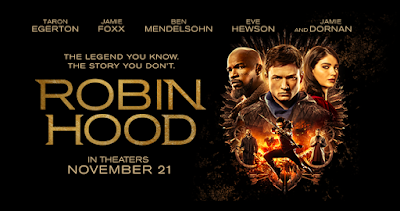 Robin teams up with a war-ridden and aggrieved John, played by Jamie Foxx, who becomes his mentor and partner in, and the two set off to lead a revolt against the corruption. Speaking of the corruption, Ben Mendelsohn is truly meant to exclusively play bad guys in movies – he delivers a very shady performance as the Sheriff of Nottingham whose war tactics and greediness ultimately lead to the creation of Robin Hood. Robin is ready to embrace the thief in him and become Robin Hood – robbing the rich to feed the poor, but John shows him that there are many sides to winning a war. Robin must remain Robin of Loxley by day, gaining the Sheriff’s trust while becoming Robin Hood at night, finding ways to give back all the greedy war taxes. We watch the action unfold, as Robin starts with small robberies like the bridge taxes or transported church funds to the real mission - taking down the whole organization. As tensions rise and the townspeople put their trust in vigilante Robin Hood, an extravagant revolt begins with Robin leading the helm. Overall, I thought this was a really fun, action-packed take on the classic Robin Hood story. Taron Egerton and Jamie Foxx had awesome chemistry and kept things interesting, drawing a new line between right and wrong. My only complaint was Marian’s character. She flip-flops the whole movie and has no real reason to be doing anything. In fact, she causes tension and drama between Robin and her new man (played by Jamie Dornan) who was simply a voice of the people trying to lead them the safest way. I don’t think we learned enough background on his character, and Marian only made it worse as she basically turns on him as soon as Robin is back and he’s completely wronged for trying to help. I think her character deserved more of a storyline and independence than she was given. Otherwise, I enjoyed this version of the English legend.